Harlem is flourishing. Many say a second Renaissance is happening above 120th Street. Magic Johnson opened a major theater, Bill Clinton has centered his post-presidential offices there, countless homes have been restored to their former glory, and, not without controversy, many whites are flocking to the neighborhood. 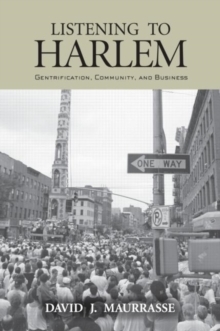 But what will this gentrification do to Harlem, and how will it change life for Harlem's longtime residents?As communities and businesses struggle with differing motivations and needs, David Maurrasse looks at ways they can work together to form partnerships. Listening to Harlem offers an exciting portrait of the struggles confronting one of America's most important neighborhoods. 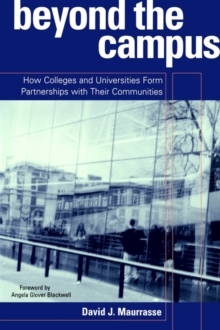 This engaging read will appeal to anyone with an interest in how the neighborhood is faring today, as well as those involved professionally and socially in urban development.